APRR has made managing its carbon footprint a strategic goal. The Group strives to cut greenhouse gas emissions at every level of its activity, from infrastructure construction and modernisation, to building renovation and curtailing unnecessary employee travel. The resulting leaner energy performance has no impact on motorway users’ safety or comfort. APRR is also providing customers with new services – such as car parks for car pooling, drive-through tolls and electric charging stations - to make it easier for motorists to play their part in reducing the carbon footprint. This major commitment is now bearing fruit: between 2011 and 2014, the Group’s greenhouse gas emissions decreased by 11.5%, as stated in the relevant BEGES emissions assessment reports. Between 2011 and 2014, the Group’s emissions decreased by 2,800 tonnes equivalent carbon dioxide, of which 830 tCo2 directly attributable to the APRR and AREA’s efforts to reduce their greenhouse gas emissions. The Group gives careful consideration to environmental factors at every stage of its activities. Environmental considerations are a key issue for infrastructures, as illustrated by the construction of the Chaponne motorway area, featuring the first ecodesigned building on a motorway to receive HQE® environmental quality certification. 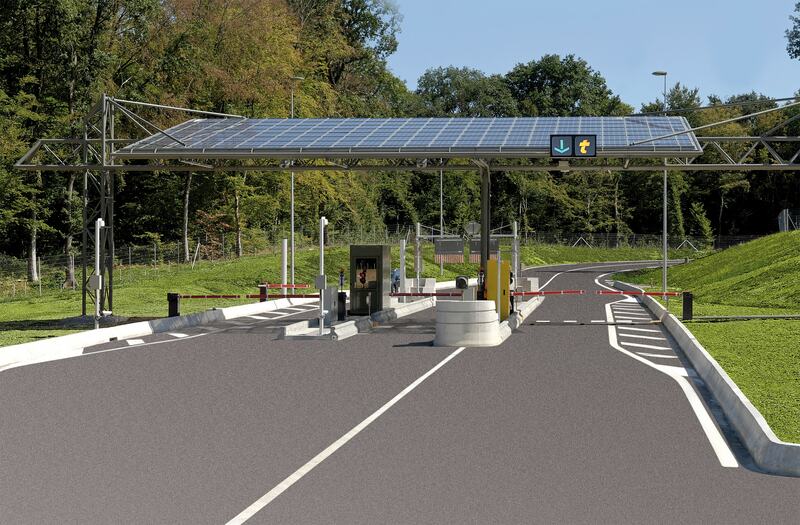 The Arlay and Seynod-Sud toll stations on the A39 and A41 motorways, respectively, are equipped with photovoltaic canopy roofs that generate enough electricity to cover 30% of their power requirements. All in all, the APRR & AREA motorway network features nearly 1,350 items of static equipment powered by photovoltaic cells: the network’s emergency roadside telephones, meteorological stations, road signs, traffic monitoring cameras and even variable-message signs are gradually transitioning to renewable energy. AREA is also trialling the use of solar water heating systems for washbasins at rest areas. APRR is also adjusting its work methods to reduce energy consumption, in particular by rolling out the use of video conferencing to minimise employee travel and hence fuel consumption. APRR’s focus on innovation is also enabling the Group to do more to limit its carbon footprint. Reducing greenhouse gas emissions is also an issue when modernising infrastructures. 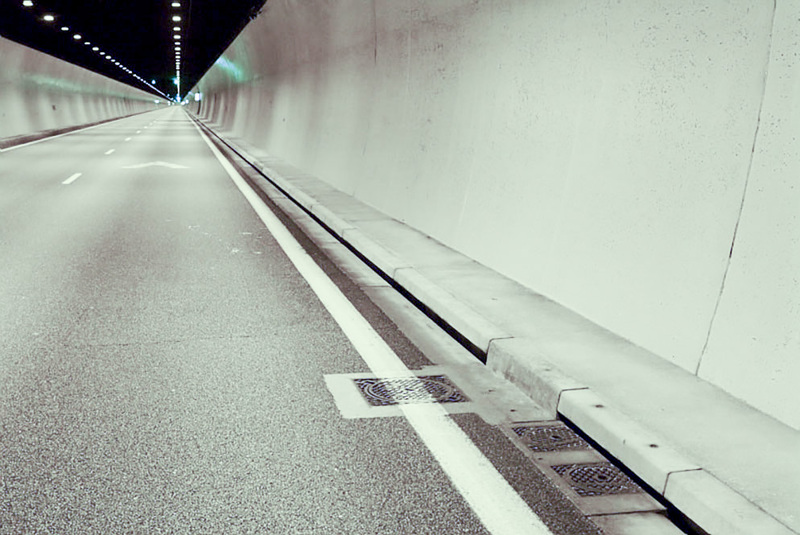 As a result of APRR’s unwavering commitment, the Chamoise tunnel on the A40 motorway was the first tunnel to be equipped with LED lighting. Replacing the existing sodium lights with light-emitting diode units yielded a 45% reduction in electricity consumption, while also improving lighting coverage for motorists, making the tunnel safer and more comfortable. Each winter, APRR and AREA provisions 11,000 tonnes of salt for its “winter driving” programme that aims to ensure that customers are able to travel even in severe weather. Staff at AREA came up with the idea of replacing some of this salt (sourced from Mediterranean salt marshes) with a salt by product of a production process at a local metalworking plant. This innovative process is a good illustration of the circular economy, reducing the greenhouse gas emissions previously generated by transporting sea salt while reusing a previously unrecovered industrial by-product. The new services now available to APRR network customers offer opportunities to take part in the fight against greenhouse gas emissions. The ongoing rollout of non-stop toll payments enhances the driving experience, while also limiting fossil energy consumption. 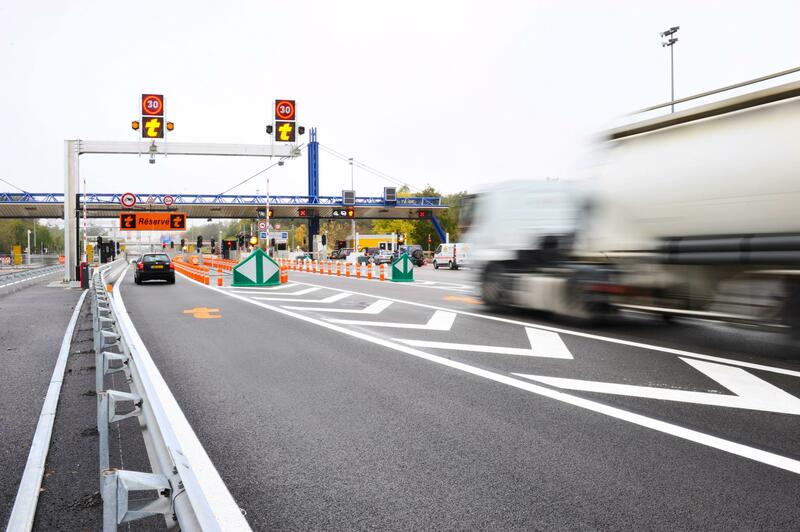 A simple, practical solution that saves motorists time by allowing vehicles to drive through the toll barrier at up to 30km/h, the system also saves fuel and helps to reduce carbon dioxide emissions. The network-wide rollout of fast charging stations is also helping to limit greenhouse gas emissions by supporting the development of electric vehicles. These charging stations are powered with electricity generated from renewable sources. To improve comfort and safety, APRR has introduced a dynamic speed limit system, which uses variable-message signs to adjust the traffic speed according to the network’s traffic density. This system, which is intended to keep traffic flowing smoothly and to limit pollution by decreasing congestion, is currently in operation on certain sections of the A40 and A6 motorways. Car pooling makes sense from an economic and an environmental perspective, while also creating bonds between people. APRR is committed to encouraging this sound practice. 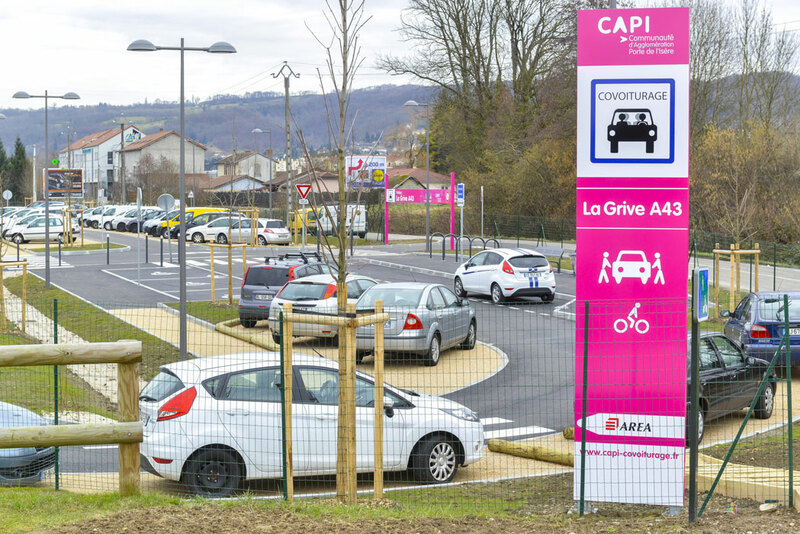 APRR enables car poolers to meet up safely by developing dedicated car parks, such as the 125-space facility near the Isle d’Abeau toll station. To encourage this means of travel, APRR also has a special electronic toll payment offer for car poolers. The monthly subscription fee for the low-cost electronic toll package for car poolers is waived for the first six months, and in subsequent months as long as at least four trips per month are made.